It was a cool and crisp September morning in the East Kootenays of British Columbia. For the first time in my life, I was searching for a bull elk with a tag in my pocket and a rifle in my hand. As a native of California, it is extremely rare to see an elk in the wild; so seeing a large bull elk would be a very special experience. 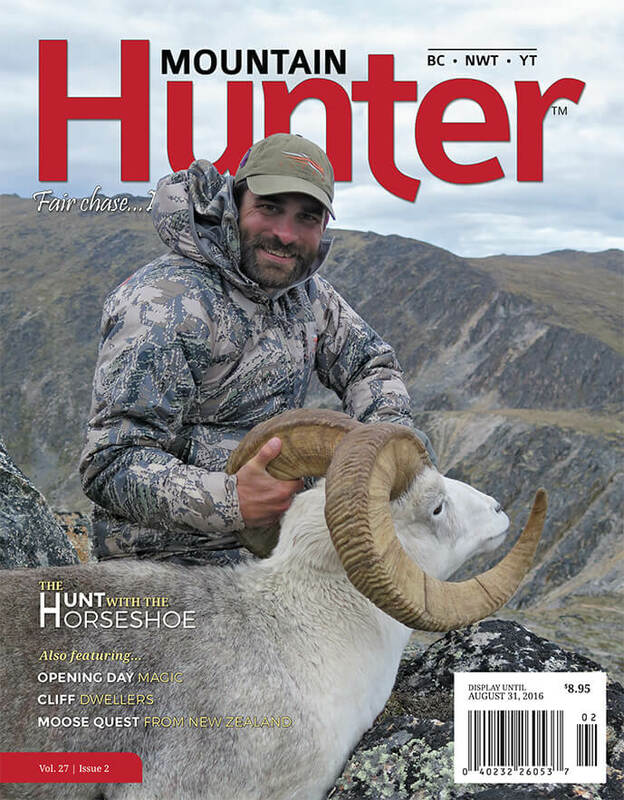 Mountain hunters, when speaking about their quest for the American mountain goat, often exclaim, “Goat hunting starts where sheep hunting ends.” This oft-repeated quote refers to the elevations that goats inhabit versus sheep. My sheep hunt with Stone Mountain Safaris ended with the harvesting of a nice Stone ram half-way through my fourteen-day hunt. My fascination with moose started many years ago. After an unsuccessful release of moose in New Zealand in 1900, a further mixed group of ten moose were gifted to New Zealand by the Canadian government and released in Fiordland, one of the most remote areas of my home country.